The Soil Association have developed a fantastic CSA Action Manual, which covers step by step what a CSA is, the benefits & how to start one. Community Supported Agriculture (CSA) is about taking responsibility for how our food is produced and how it gets to the table. It is a direct relationship between a farmer and the people who eat the food the farmer produces. The term Community Supported Agriculture was coined in America and encompasses a broad range of partnerships between consumers and producers. Each of these CSA arrangements is unique, tailored by the circumstances they develop out of. The Soil Association define CSA as: A partnership between farmers and consumers where, at best, the responsibilities and rewards of farming are shared. Interested in starting a CSA? Edcombe Farm Harvest Share Scheme are a small organic market garden on the foothills of the Mendips between Wells and Cheddar. Most of the veg is for a share scheme where local people come to the farm once a week and collect the veg which has just been harvested. Members set up a standing order for a small or large share. The share is written up on the board although we have some flexibility in the winter where members get to choose from a selection of winter veg. They have some other outlets including two farmers markets, some local pubs and Somerset Local Food Direct, an online project. They have experienced a number of challenges. Read more. 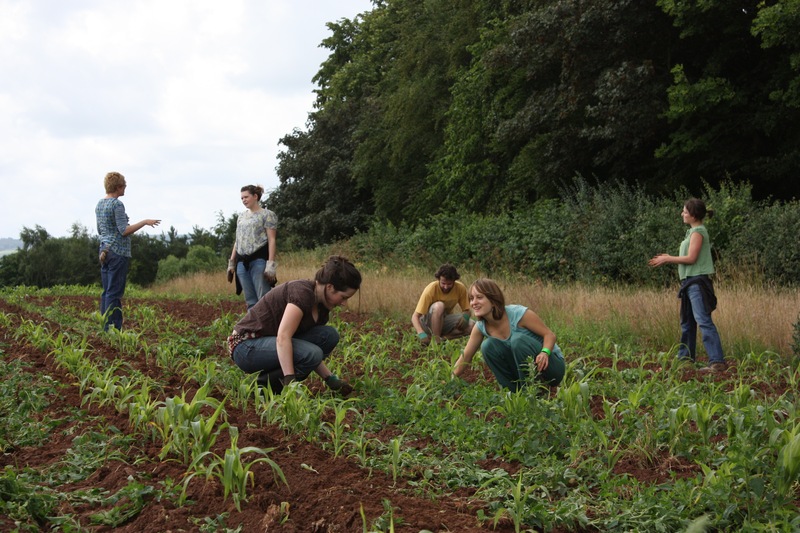 The Community Farm in Chew Magna, is a not for profit, member-owned, box scheme and wholesale food producer based in the Chew Valley. Members have a say in how the farm operates and have invested in the future of a farm that is contributing to the resilience of our food security, the local economy, and to the development of a self-sustaining, low-carbon food and farming system. Vallis Veg is a market garden with strong community links at an eighteen-acre site in Vallis Vale on the outskirts of Frome, which they have been developing as an agro-ecological site using the principles of permaculture design. To date they have created a market garden site - the heart of Vallis Veg, delivered nearly 12,000 boxes of fresh, locally-grown vegetables to Frome residents, developed the site and hosted numerous learning and community activities. More.